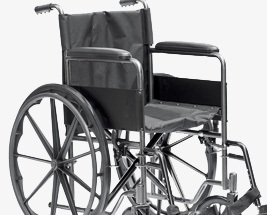 At IncontinenceChoice, we have a range of self-propelled wheelchairs to suit your requirements. Self-propelled wheelchairs are a mobility essential designed for the wheelchair user to push themselves along. We offer various seat widths and features so please browse through our selection to pick the ideal wheelchair for your needs. We hope you find everything you need, including popular brands such as Roma, Drive, Days and Z-Tec.